When the end of the year approaches, all the streets and shop windows all over the world start filling up with Christmas decorations and motives. You can see decorated Christmas trees and nativity scenes in the majority of houses and many people decide to customize their computer. 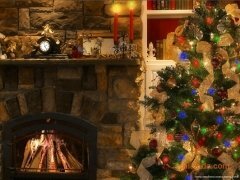 To be able to apply a Christmas touch to your PC you can always use nfschristmas05, a screensaver that will show you a typical Christmas scenes in which you will be able to see a Christmas tree and a chimney by means of an animation. 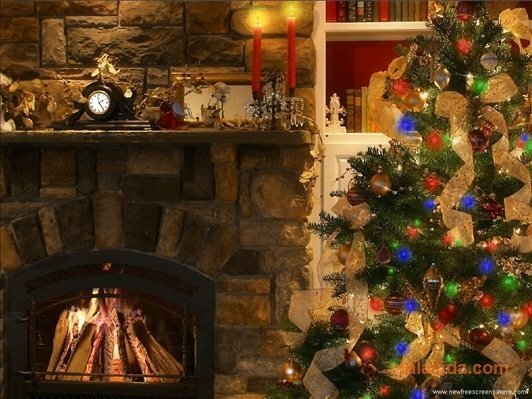 It is possible to listen to the noise of the fireplace and to view how the flames move. The application has a control panel from which it will be possible to configure the quality of the animations, with the possibility to adapt the image of the screensaver to the power of the computer. If you are one of those people that think about Christmas all year round and you would like to decorate your computer with a Christmas motive, you have to download nfschristmas05 as soon as possible. The screensaver requires that you have Flash Player installed.